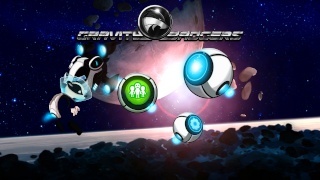 Gravity Badgers as its name suggests is a physics based puzzler that involves both gravity elements and space travelling alien badgers that you must safely navigate through the games various stages as well as escaping from terrifying bosses that likely would eat any space traveler in its path! Gravity Badgers is developed and published by the award winning indie studio Wales Interactive who have crafted many top-tier indie titles over the years, but is this game as good as it sounds? Keep reading to find out! Gravity Badgers starts players off with a easy tutorial with eight levels easing players into the game while teaching them the basic mechanics and although it does provide helpful information that will prove valuable for the first dozen or so levels in the first real chapter of the game it fails to teach users some of the more challenging techniques and mechanics of the game which might stump many novice players when they advance through the game. 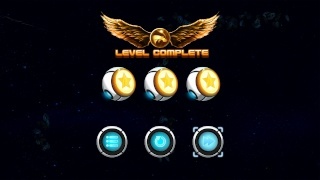 The rules of the game are fairly straightforward and require you to obtain all three star orbs, and reach the green wormhole at the end of each level to advance to the next one. If you obtain all three orbs, and reach the wormhole without losing any lives you will obtain a three star rating for the level, do this on all the stages and something good might happen! However it's not that easy as gravity shifting planets, asteroid belts, and other obstacles will constantly block your path forcing you to use your intellect to figure out how to bypass the obstacles! Gravity Badgers also has bosses that will hunt you down during certain stages and you must act quickly or face being eaten! Gravity Badgers features well over a hundred stages of mind-bending puzzles and can be extremely difficult at times and the stages although extremely difficult seem sort of uninspired and basic to the point that the game feels like a basic Android or IOS title, but luckily the amount of content this game possesses makes up for this shortcoming! The touch controls in the game are well implemented and work very well with the title though sometimes an occasional mishap will occur and send your badger flying before you release your stylus from the Gamepad, but this is rare and for the most part the controls are nearly flawless. The Off-TV play is nice, however we were unable to hear sound from our Gamepad during Off-TV play which we're unsure if it was a glitch on our end or if the game simply doesn't work fully in Off-Screen mode. 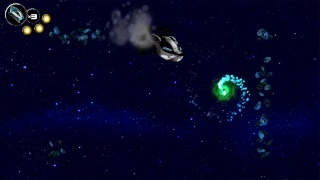 The graphics in Gravity Badgers are fairly basic and simple, but work well with the style of the game. The oil painting look of the various cut-scenes in the game look nice and add alot to the graphical appeal of the game while the boss models look just as impressive. The soundtrack of Gravity Badgers is pretty good, but certainly won't win any awards. All-in-all the presentation of the game is quite solid! With great gameplay that is challenging, smooth nearly flawless controls, as well as a good presentation style Gravity Badgers is an excellent bargain title for the Wii U eshop, however some flaws including the bug that seems to cause the Gamepad audio to cut-out during Off-TV play and the lack of explanation for some of the more complex features of the game hold this game back, but regardless it's still a great game that we'd recommend checking out! This is fun, but I don't like how difficult some of the levels are. The boss levels are exceptionally fun, but the other levels are frustrating and boring. Gravity Badgers is fun for short bursts, but I wouldn't recommend the game if you're looking for a game to spend hours at a time playing. A 7.9/10 is only a fair score for this game because of its low cost if this game was $8 or more I wouldn't agree with this game receiving such a positive review.